Named Washington, D.C. Lawyer of the Year in the field of Real Estate for 2017 and 2015 by Best Lawyers in America, David is the attorney clients have entrusted with their real estate and title needs for nearly 40 years. In Mr. Cox’s continuous years of service with the Firm, he has developed a reputation as an effective negotiator, advisor, and litigator, successfully resolving a myriad of issues arising out of a variety of corporate, commercial, and residential real estate matters. David has represented individuals, housing cooperatives, and condominium associations on a wide range of community association issues. 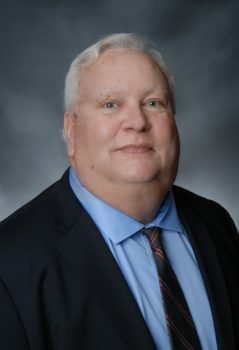 Additionally, he has represented title insurance companies, institutional lenders, partnerships, and corporations with respect to curing title defects, defalcations, and various title insurance coverage issues including the unique Washington, D.C. law known as the Tenant Opportunity to Purchase Act, frequently referred to as TOPA. David regularly advises a range of clients (including banks and corporate fiduciaries) on the acquisition, financing, leasing management, and sale of shopping centers, office buildings, and multi-family housing projects. A former president of the Firm, David currently serves as chair of the Real Estate Practice Group. He is a member of the Land Title Associations of D.C., Maryland, and Virginia and the American Land Title Association Title Counsel Committee. He serves as a member of the D.C. Legislative Action Committee of the Community Associations Institute and is the Firm’s representative to the Council for Court Excellence (CCE), while serving on the CCE Executive Committee. He also serves as Vice President of the Kiwanis Foundation of Washington, D.C. He is the immediate past president of the Barristers and an active member of the Lawyers Club. David recently served six years as a peer-elected member of the Steering Committee of the Real Estate and Land Use Section of the District of Columbia Bar. He also served as president of the District of Columbia Land Title Association from 2003 to 2005. He is past president of the District of Columbia Jaycees and the Kiwanis Club of Washington, D.C.
David joined Jackson & Campbell, P.C. in 1978 and was elected a Director in 1984. He received his Bachelors of Arts (with honors) from The Ohio State University and his J.D. from the Georgetown University Law Center. David is an avid golfer and serves as a marshal at major golf events in the Washington area. Vice President, Kiwanis Foundation of Washington, D.C.
Past President, Kiwanis Club of Washington, D.C.